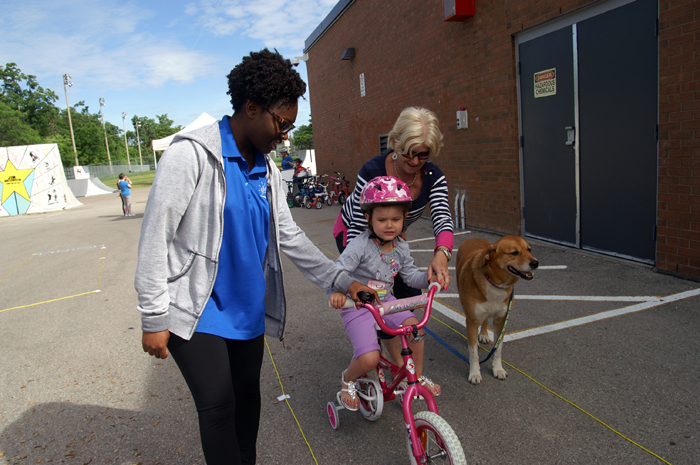 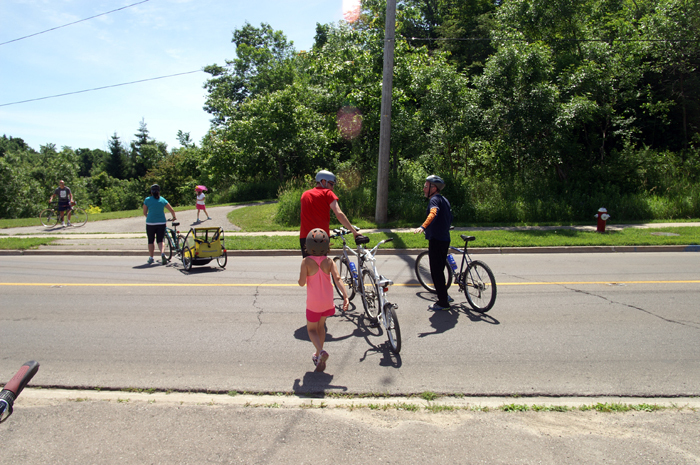 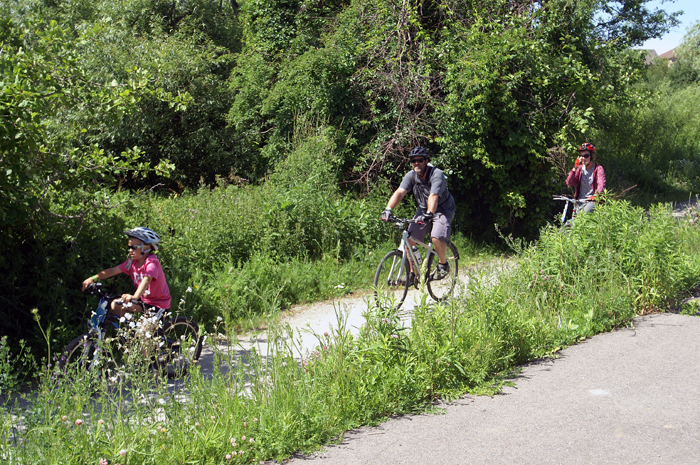 Our first annual event was a perfect day of bike riding along the Etobicoke Creek Trail through the nature parks north into Caledon and south through the historic downtown of Brampton into the urban parks of south Brampton. 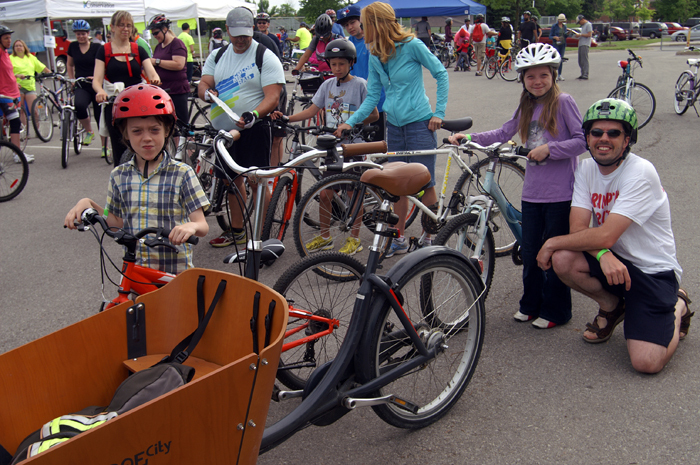 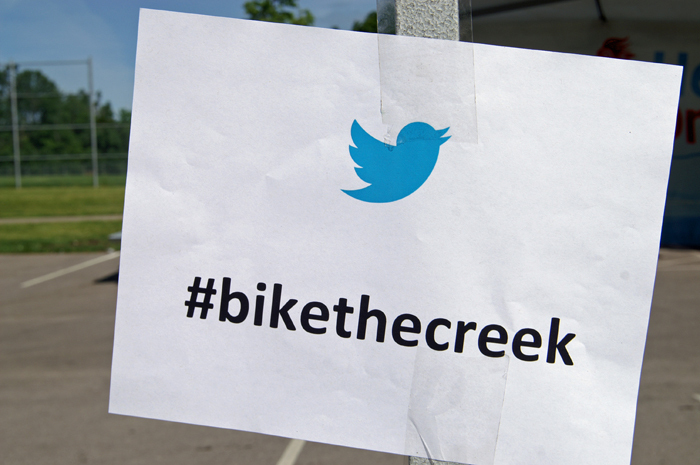 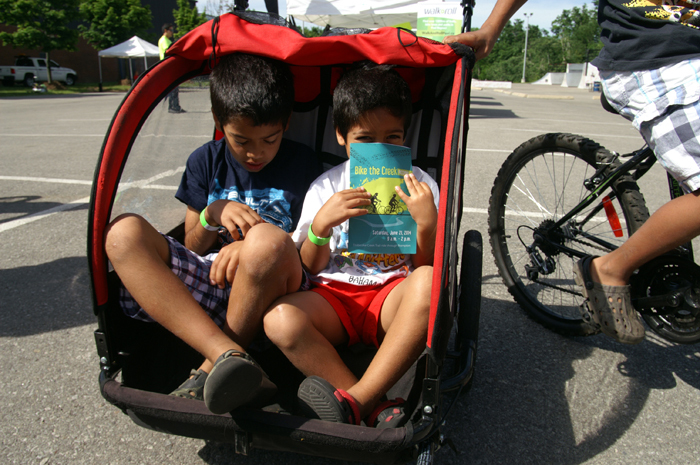 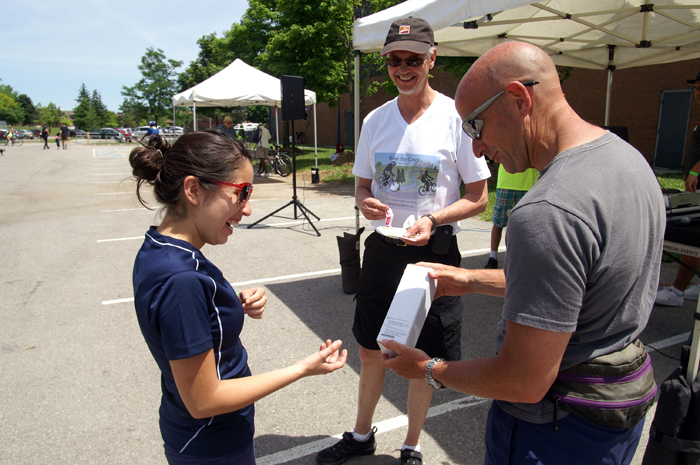 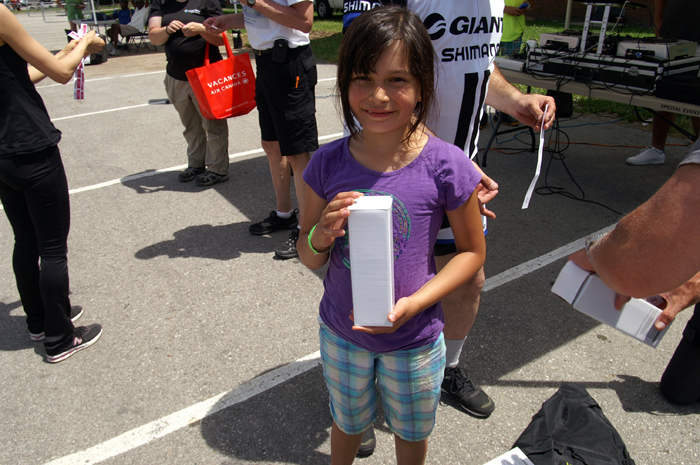 Registered participants were given an official Bike the Creek Passport. 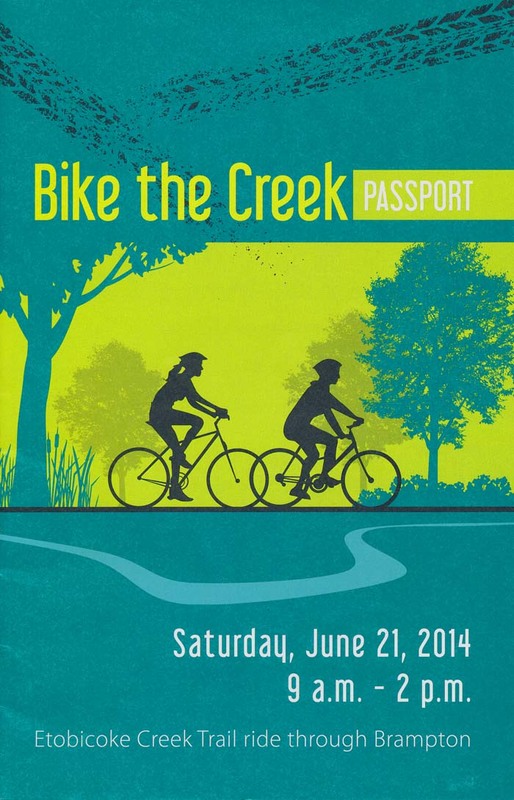 Created by the Bike the Creek committee, who planned the event over the past year, the passport cost was sponsored by Cyclepath Brampton. 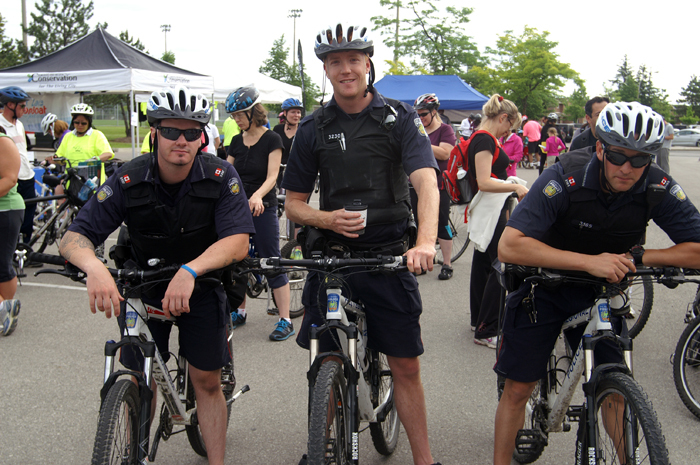 Participants were treated to complimentary coffee and donuts supplied by Tim Hortons at Sandalwood Parkway & Conestoga. 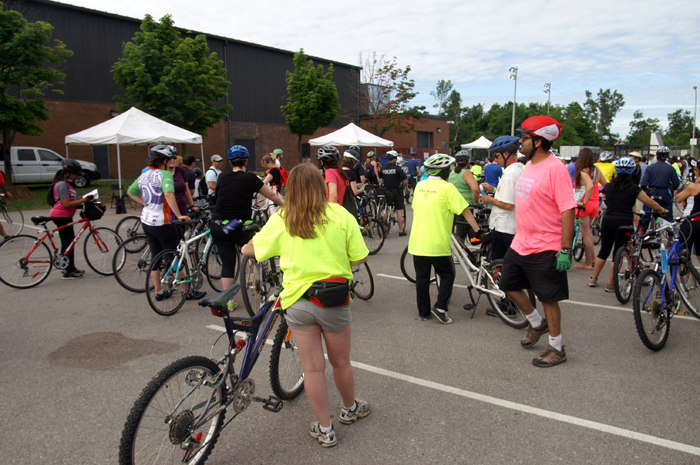 A crowd of cyclers gathered at Jim Archdekin Recreation Centre in anticipation of the start. 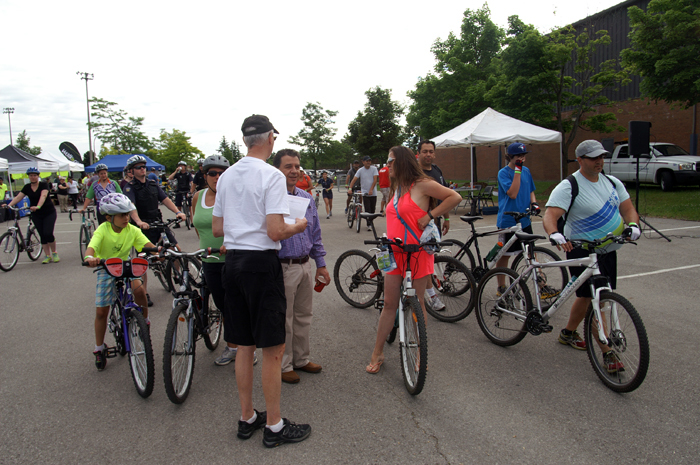 Brampton Bicycle Advisory Committee Chair David Laing welcomed everyone and briefed the riders on safety and details. 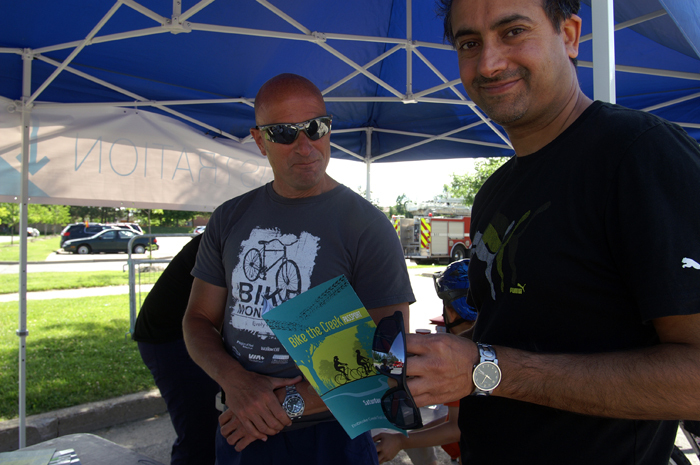 David Laing speaking with Dennis Cutajar, Chief Operating Officer of City of Brampton before event began. 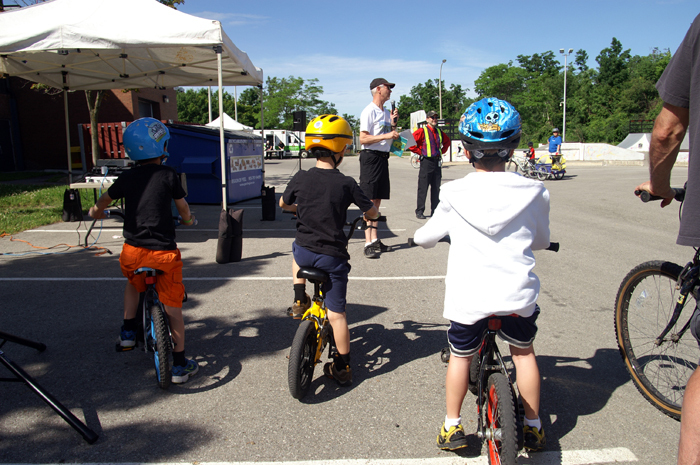 Councillor Gael Miles helps at Brampton Safe City Rodeo for the youngest cyclers. 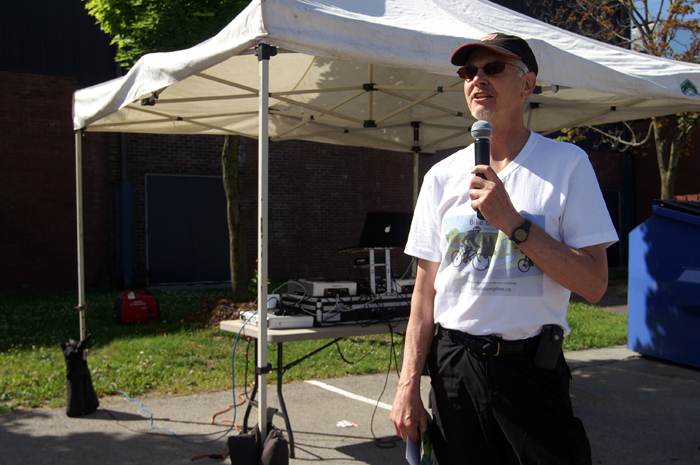 Kevin Montgomery, Councillor Candidate, and BBAC member participated with his family. 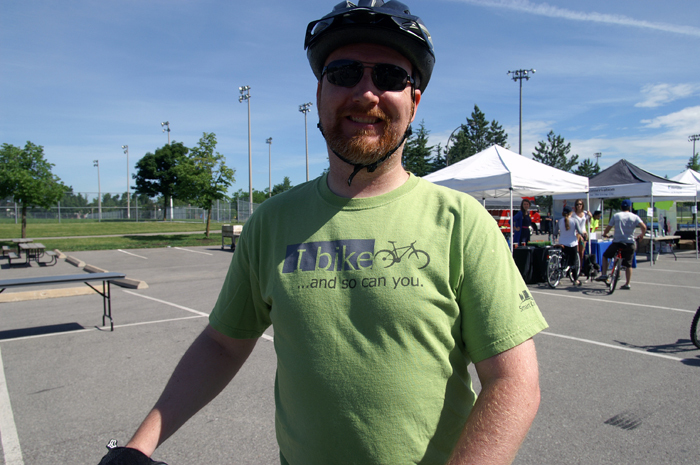 Michael Freeman, Councillor Candidate participated in the ride. 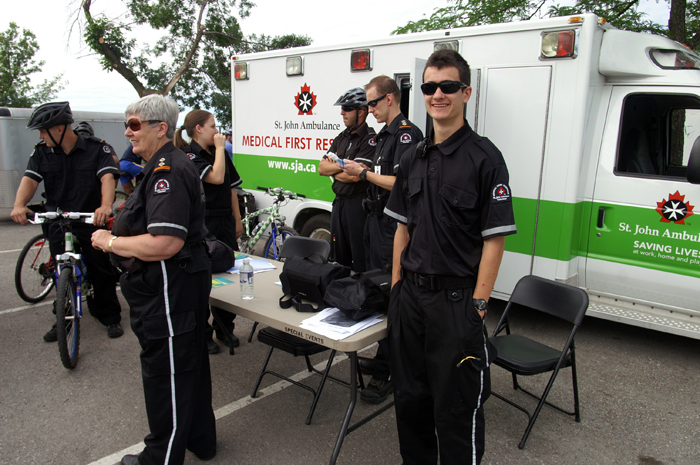 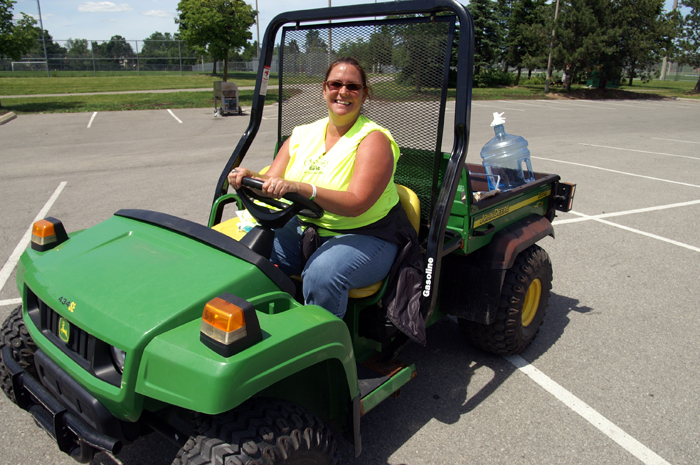 CERV Community Emergency Response Volunteers start the riders in staggered groups for safety and more enjoyment. 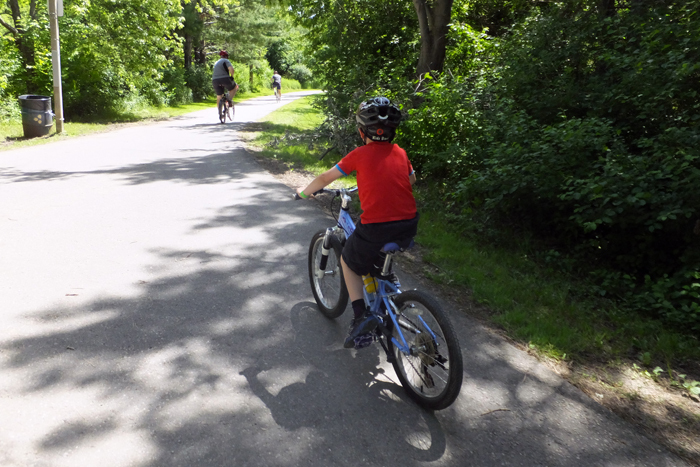 Bike the Creek along the wooded trail. 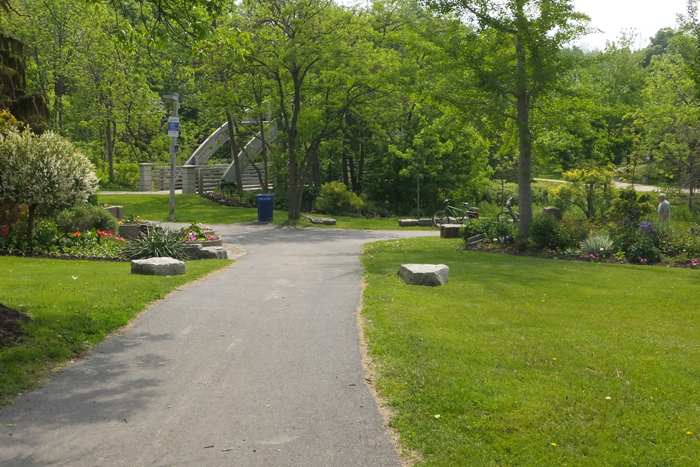 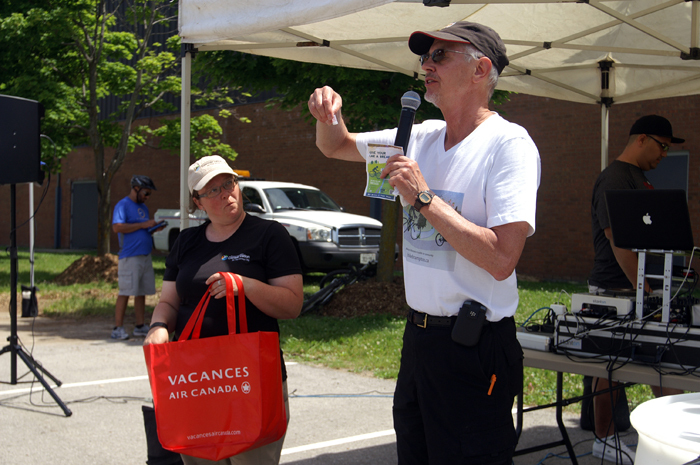 The Town of Caledon supplied a portable toilet at the north end of the route, where TRCA explained about pollinators along the Etobicoke Creek Trail. 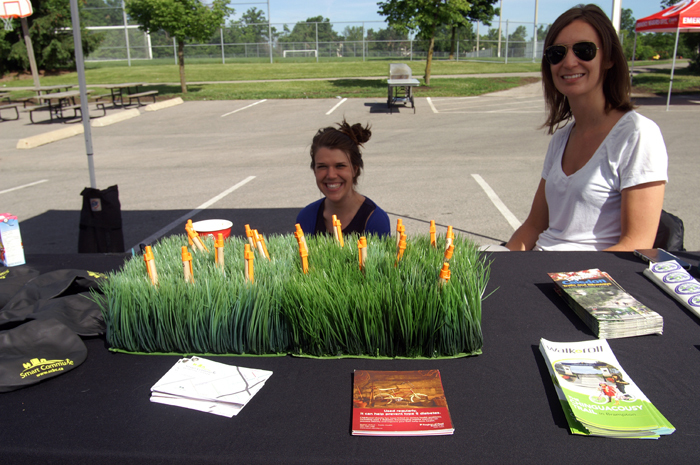 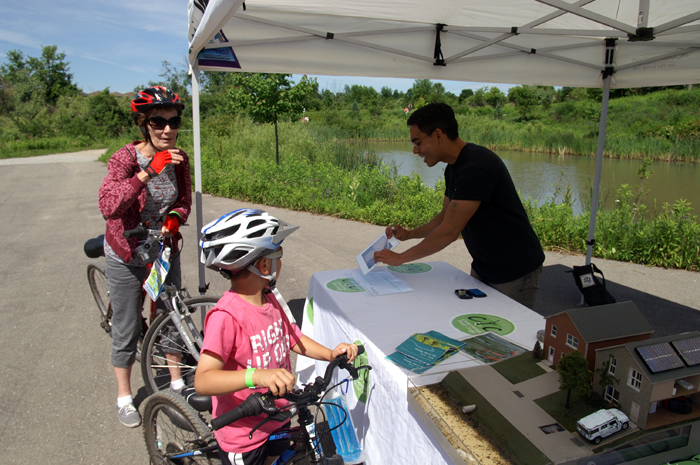 TRCA Toronto and Region Conservation Authority station stamps passport after explaining stormwater pond. 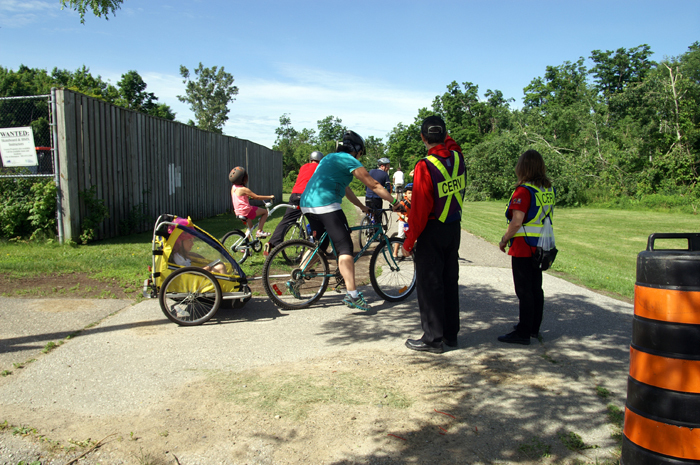 Pull off safely to tweet along the way! 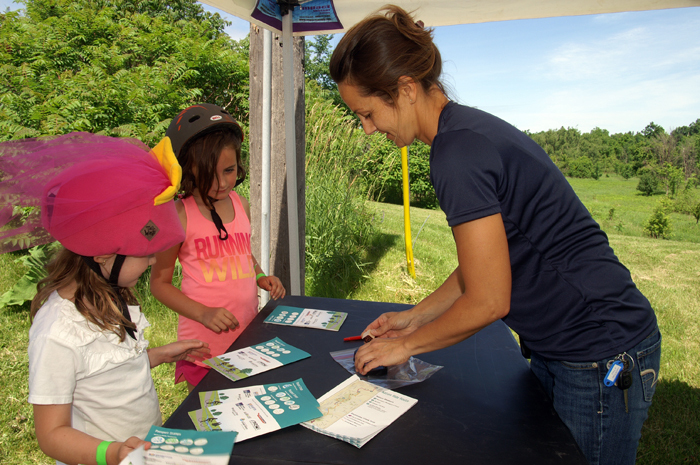 young riders obtain Stafford Woods stamp after TRCA expert explains riparian restoration along Etobicoke Creek. 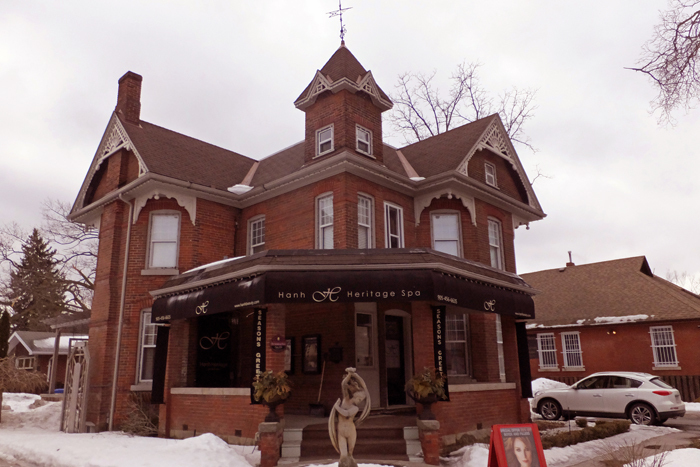 Brampton Heritage Board stamped passports as they explained The Armstrong House at 17 Chapel Street and other historic buildings in downtown Brampton. 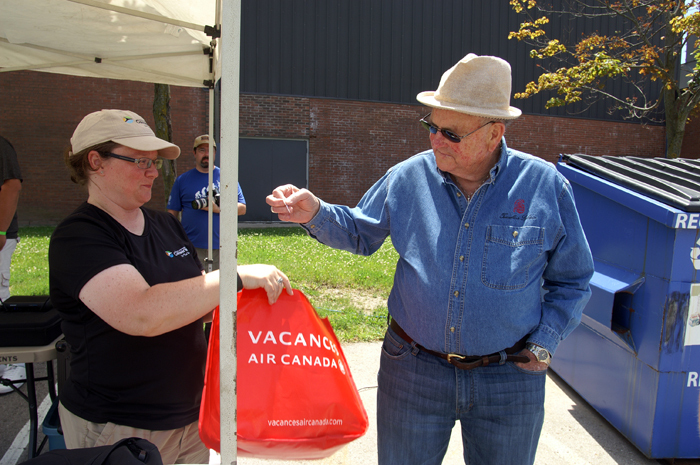 Councillor John Hutton, member of BBAC, drew a ticket for one of the lucky winners. 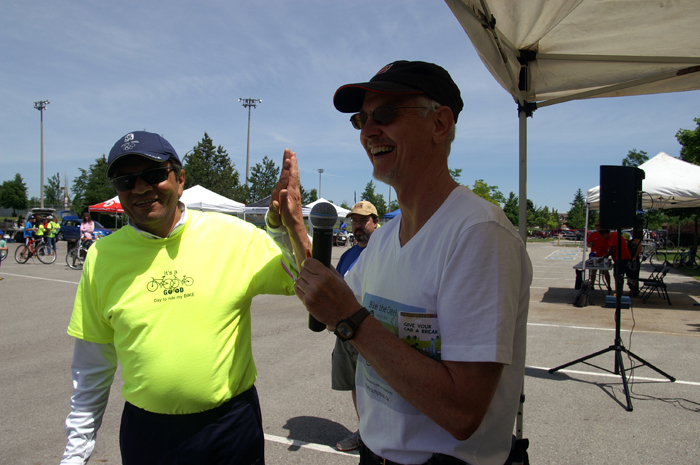 High Five on a terrific day at Bike the Creek! 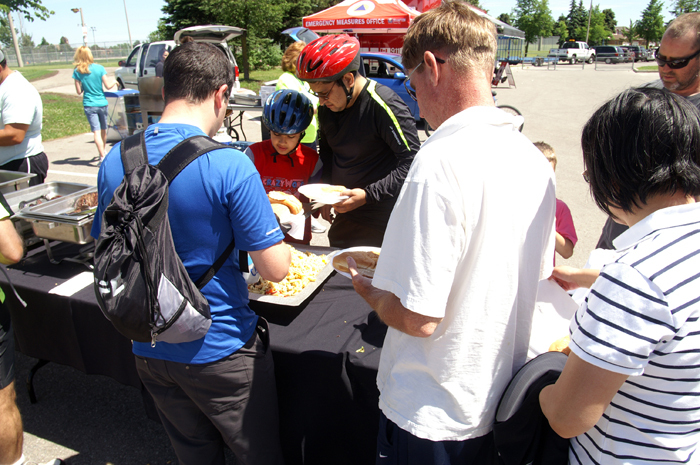 Thanks to everyone who helped and to the City of Brampton for all that showed and all the behind-the-scenes work!